Trump was joined by senior Indian-American members of his administration including Nikki Haley, his Ambassador to the United Nations and Seema Verma Administrator, Centers for Medicare and Medicaid Services. 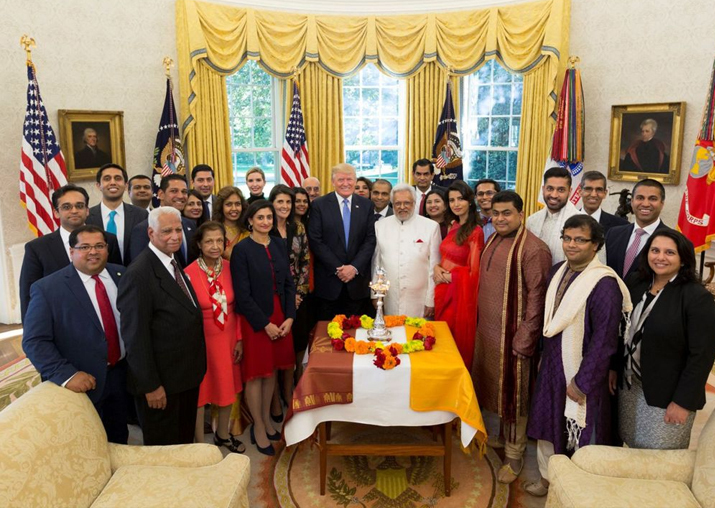 US President Donald Trump has hailed the extraordinary contributions of Indian-Americans to science, medicine, business and education in the country as he celebrated his first Diwali at the White House. Trump was joined by senior Indian-American members of his administration including Nikki Haley, his Ambassador to the United Nations and Seema Verma Administrator, Centers for Medicare and Medicaid Services. Ajit Pai, Chairman of the US Federal Communications Commission and Raj Shah, his Principal Deputy Press Secretary also joined Diwali celebrations. "As we do (celebrate Diwali) so, we especially remember the People of India, the home of the Hindu faith, who have built the world's largest democracy," Trump said in a Facebook post along with a video of his Diwali celebrations inside the Oval Office. Trump said he greatly valued his "very strong relationship" with Prime Minister Narendra Modi. Trump said he was deeply honoured to be joined by so many administration officials and leaders of the Indian-American community in celebrating Diwali -- the festival of lights. The President's daughter Ivanka also joined him in celebrations, according to a picture released by the White House. In his remarks, Trump said Indian-American neighbours and friends have made incredible contributions to the country – and to the world. "You have made extraordinary contributions to art, science, medicine, business and education. 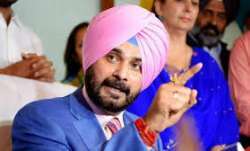 America is especially thankful for its many Indian-American citizens who serve BRAVELY in our armed forces and as first responders in communities throughout our great land," he said. "Today, we proudly celebrate this holiday in THE PEOPLE’S HOUSE. In so doing, we reaffirm that Indian-Americans and Hindu-Americans are truly cherished, treasured and beloved members of our great American family," Trump added. Diwali, he said, is one of the most important celebrations in the Hindu religion. "A time of peace and prosperity for the New Year, it is a tradition that is held dear by more than 1 billion Hindus worldwide and more than 2 million Hindus in the United States. 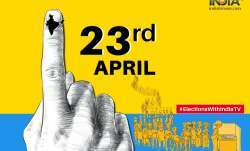 It is also celebrated by millions of Buddhists, Sikhs, and Jains in America, India and around the world," he said. The tradition of Diwali celebration at the White House was first started by President George Bush. During his term it was celebrated mostly in the India Treaty Room of the adjacent executive office building, which is part of the White House complex. Bush never personally participated in the White House Diwali celebrations. In the first year of his presidency, former president Barack Obama lit the ceremonial Diya in the East Room of the White House. In his last year in office in 2016, Obama for the first time observed the festival of lights in the Oval Office.